The sudden, tragic death in 1997 of the charismatic Diana, Princess of Wales (a vibrant beautiful young woman trapped in a very difficult personal situation) undeniably affected a vast number of people all over the world. It was an event which, says Keith Hearne, also affected him and influenced him profoundly enough to compose this ballet. He points out that the underlying subject of incompatibility is a common human condition, at many levels, and can often lead to serious consequences. The ballet is also, then, on a topic that is relevant universally. Musical friends in Moscow heard the original synthesised version and encouraged the composer to get the work recorded with an orchestra. Wonderfully, the Moscow Symphony Orchestra obliged. The composer is now seeking sponsorship so that the ballet can be staged, and toured around the world. Conductor Sergey Kondrashev and the ballet dancers of the Bolshoi are keen to be involved in the project. The ballet depicts the story of a girl who marries a Prince of Tradition. She becomes the Princess of Modernity. However, her modern attitudes clash with those of the Prince. The girl will not conform to the expected role, the Prince does not change, and so the inevitable break-up is enacted – followed by unexpected tragedy. Within the ballet, many different situations and emotions are expressed – among them love, romance, humour, insecurity, ambiguity, anger, and sadness. The Princess’s love of children, especially her own, is reflected in some poignant pieces. Said prima ballerina Ilse,“I heard about the new ballet and when I listened to the music was absolutely enthralled by the tunefulness and great emotion within the work. I am certain that this ballet will become one of the great classics in the field of ballet”. Says composer Keith Hearne, “I’m really delighted that such a star as Ilse Liepa wants to dance the main role in my ballet. After the Moscow première, it would be wonderful if she and the Bolshoi troupe could also come to London this summer for a performance, especially to mark the 10th anniversary of the death of Diana, who inspired me to write the work”. 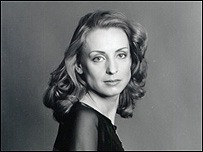 GILLIAN LYNNE, who choreographed Cats and Phantom of the Opera, etc, etc, is collaborating with Hearne on the ballet. An article was printed in The Times national newspaper in London on Monday 23rd April about the ballet. A picture of Ilse Liepa dancing was included. Items also appeared in The New York Times, The Daily Express, and many other publications, as well as on news websites (including American ABC News online, AOL), and information websites. Composer Keith Hearne was interviewed for Russia’s Channel 1 TV, about the ballet. The item was transmitted throughout Russia and many other countries on 31st August. N.B. Hearne’s Guitar Concerto is now completed. The virtuoso Russian guitarist Dmitry Tatarkin edited the guitar score. Additionally, he has put music to the 1st World War poem, The Soldier, by Rupert Brooke.